Get creative this season with these simple and one-of-a-kind Christmas gift wrapping ideas. From personalized wrapping paper to DIY themed gift bags, your recipients will be in awe of your amazing gift wrapping skills. 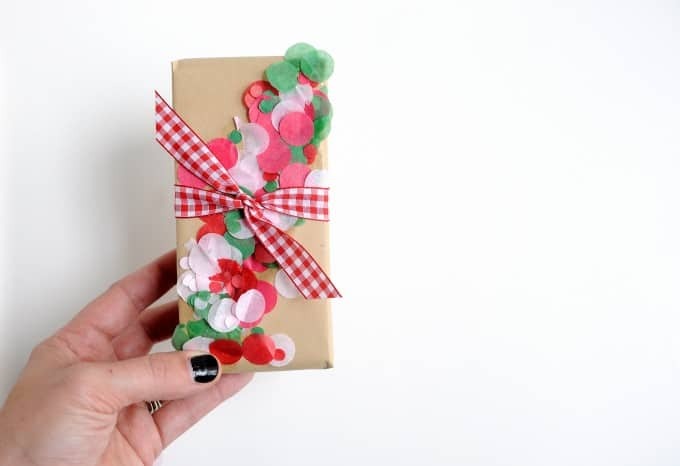 Upcycling items such as sweaters, ribbons, tape or even old photos can be turned into cozy and unique wrapping material with just a little creativity. Turn plain paper into an elegant wrapping material with the addition of unique gift toppers. Whether you’re wanting to create custom holiday wrapping paper or just adorn your presents with a sweet memento, these easy DIY wrapping ideas will help you find that extra touch that will become part of the gift. 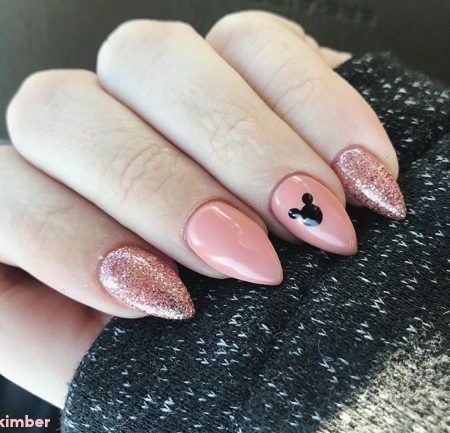 I love this simple project that has a wow factor! Add “confetti” to any gift with just a few craft items. This easy gift wrapping project can be used for Christmas wrapping, birthdays, anniversaries, graduation (think school colors) or any time you need a celebratory gift wrapping theme. 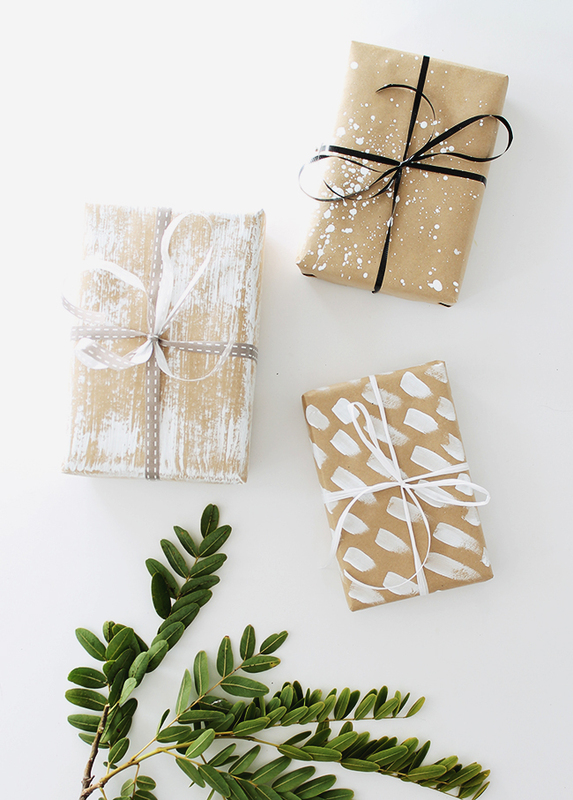 Here are 4 ways to spruce up plain gift wrapping paper, suitable for any occasion where you need a simple and elegantly wrapped present. Keep these items on hand at all times so you’ll be able to easily wrap a gift that’s chic and modern. 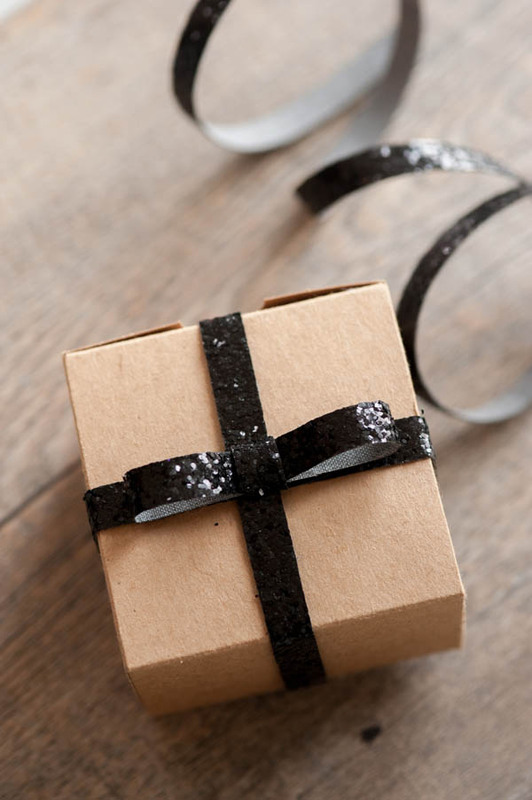 This is so easy – forget the paper and use a simple craft paper box adorned with a sparkly ribbon for a topper. 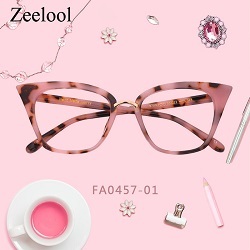 This type of gift wrapping is minimal but with showstopper impact. 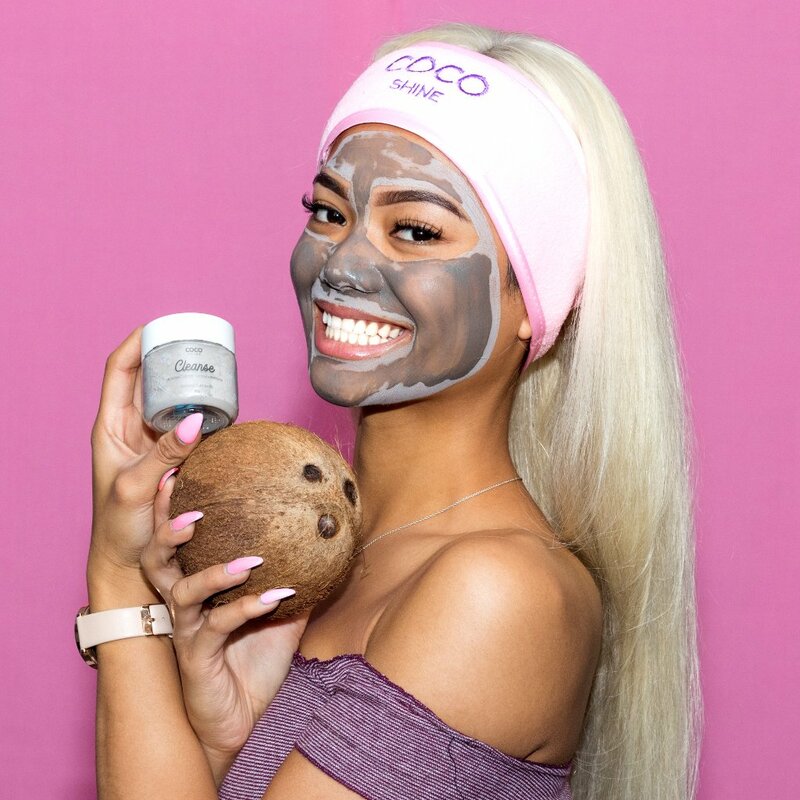 Your recipient will love it and will insist that it was professionally wrapped! Here’s an easy DIY wrapping project that the kids will want to help with. 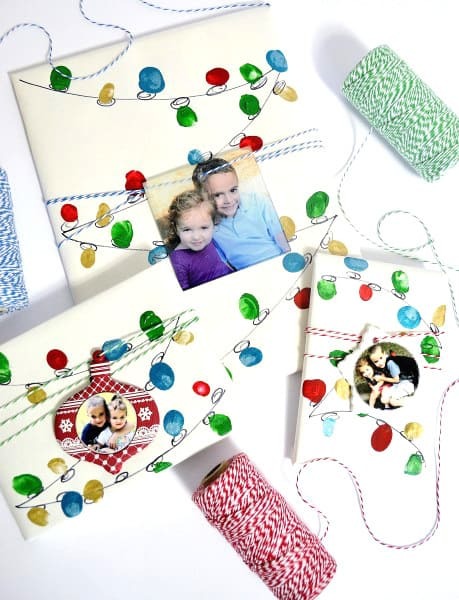 Using plain wrapping or craft paper, create your own holiday lights gift wrap. You can further decorate the wrapping with photos for a personal touch. 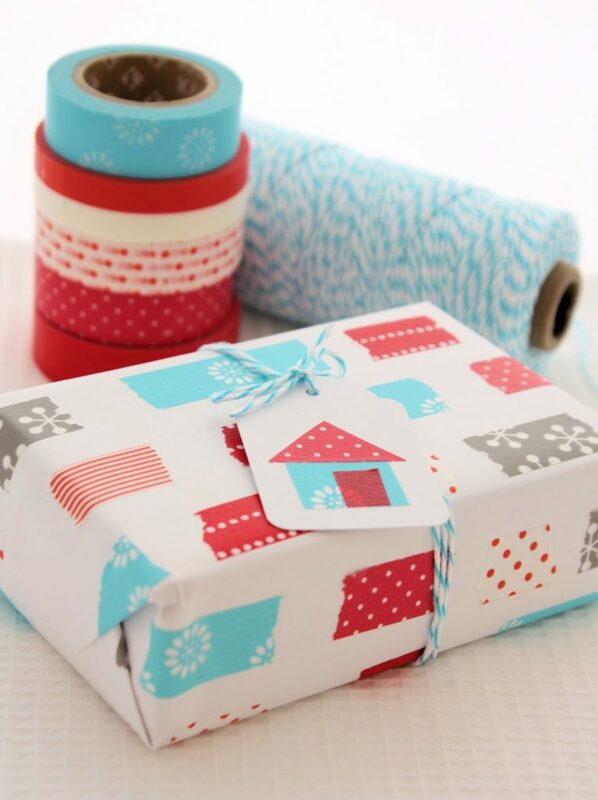 You can fancy up any plain paper or even a gift bag by simply using colorful washi tape. Use the different tape designs to create a one-of-a-kind wrapping and/or gift tag that will be a fun and creative project. 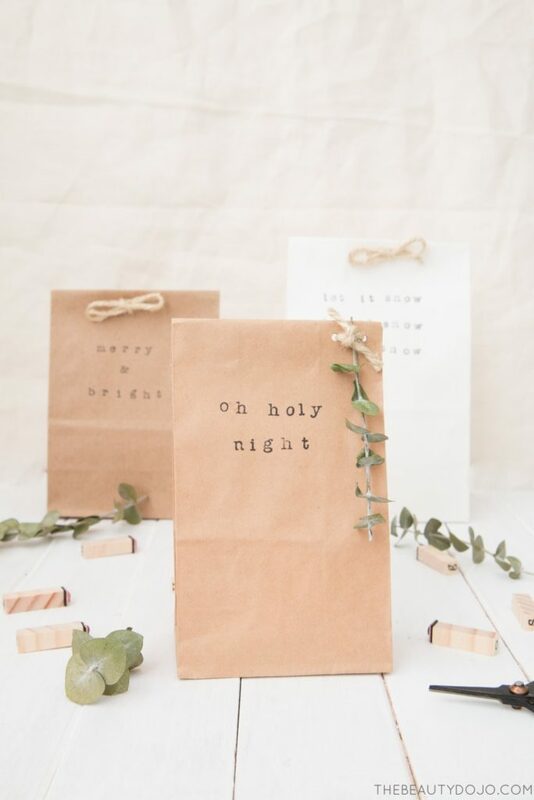 This adorable gift bag idea is so easy! 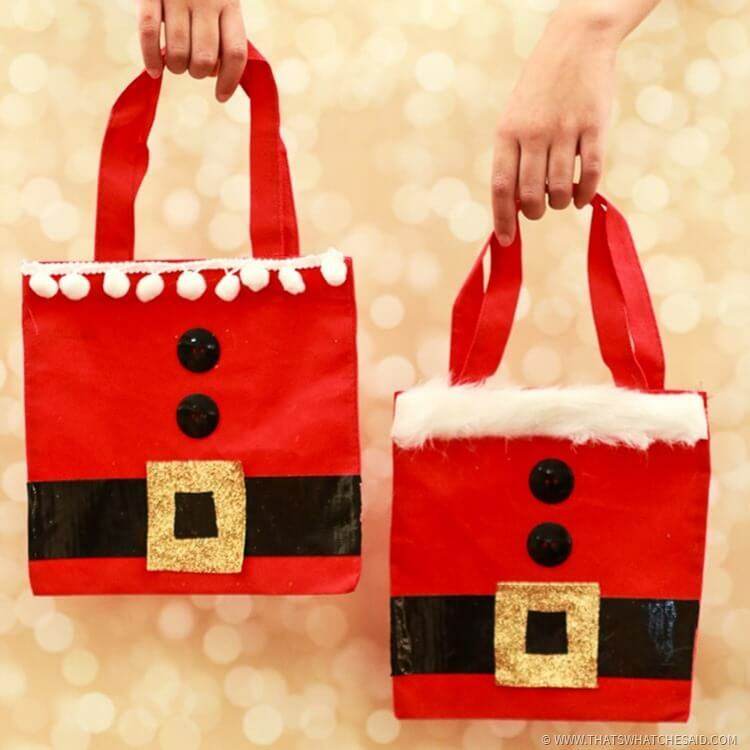 Take a plain red gift bag, paper or cloth, a few ribbon items, and a glue gun and make various Santa bags for your gifts. This a great project for kids, too. Short on time for gift wrapping? No problem. Grab a paper bag and get to work using these easy but creative ways to wrap a gift. 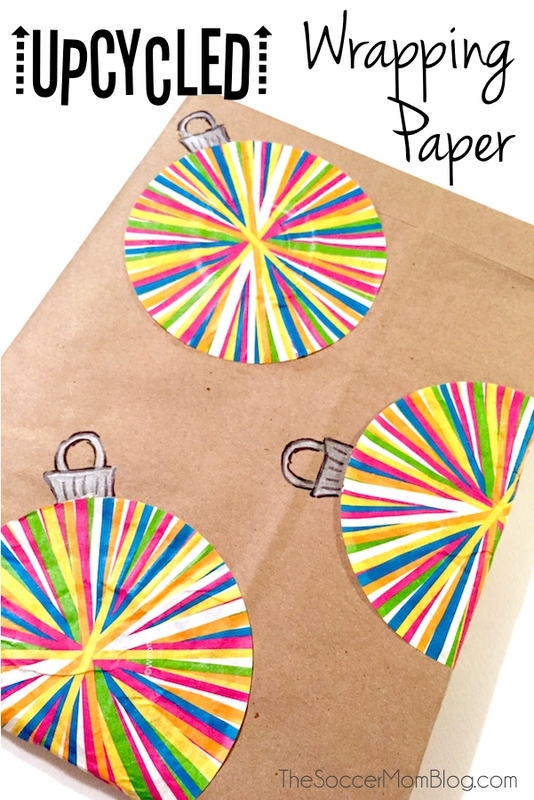 Try using different color paper bags, which you can purchase at any craft store or online so that you can go from simple and elegant to colorful and festive. Easily decorate your plain wrapping or tissue paper with festive cupcake liners. Strategically place the “ornaments” on large gifts or cover the entire gift with the liners for a unique look. 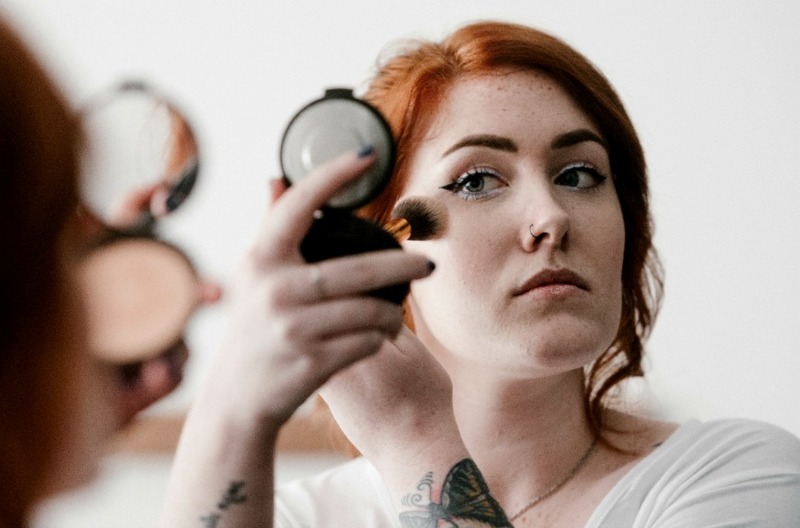 Grab a glue stick and get to work! 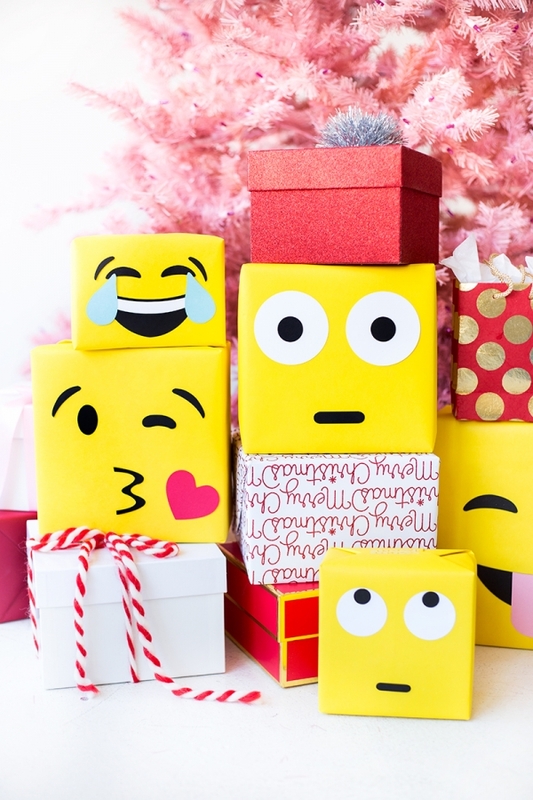 Your gift recipient will adore receiving their present wrapped in this cute emoji wrap that is super easy and fun to put together. Suitable for any occasion, you can create a funny and/or meaningful emotion right on the wrapping paper using plain wrapping paper, cardstock and a glue stick. Keep these items on hand so you’ll always have a simple and unique way to wrap gifts. 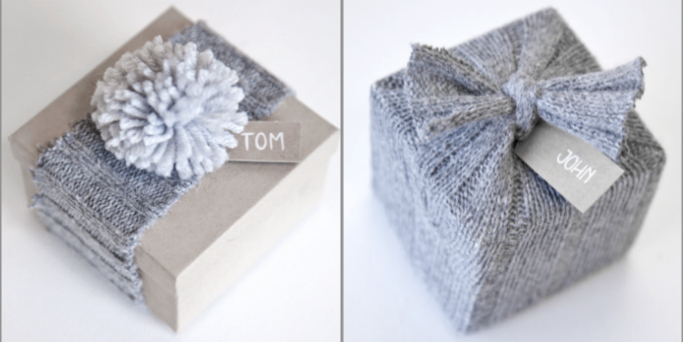 Upcycle some old wooly sweaters for a cozy gift wrapping. 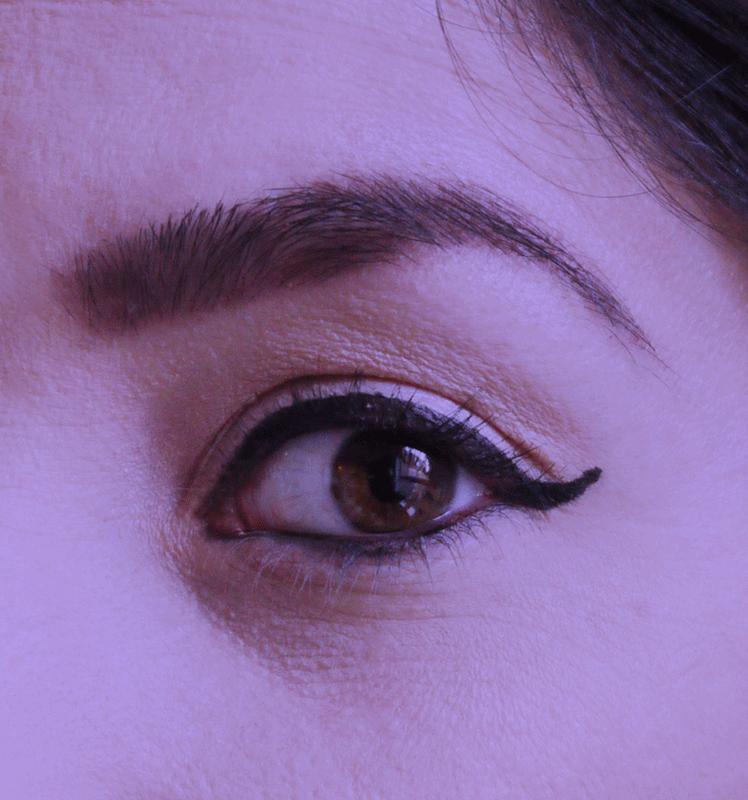 Make it elegant or make it bold, depending on your choice of material. Works well for boxes as well as bottled gifts.